FarmVille debuted a special limited edition Polar Bear Cub and Gazelle as part of their celebration of Earth Day. The Polar Bear and Gazelle join the Kangaroo and Emperor Penguin as FarmVille Earth Day animals from around the globe. 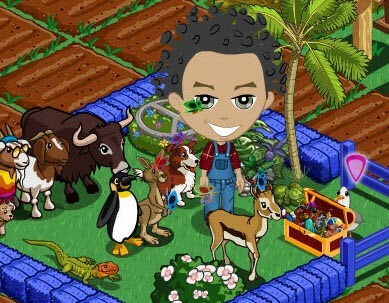 All of these animals require farm cash and can be purchased in the FarmVille Market during the next 14 days only. What do you think of the Polar Bear Cub and Gazelle?